The JavaRConsole system must be running Oracle Solaris, Linux, or Windows. The JavaRConsole system must be connected to a network that has access to the server module Ethernet management port. Java Runtime Environment (JRE) 1.5 or later must be installed. For CD-ROM redirection, 32–bit Java must be used. If the JavaRConsole system is running Oracle Solaris, volume management must be disabled for JavaRConsole to access the CD/DVD-ROM drive. If the JavaRConsole system is running Windows, Internet Explorer Enhanced Security must be disabled. You must have network access to the server's ILOM service processor. 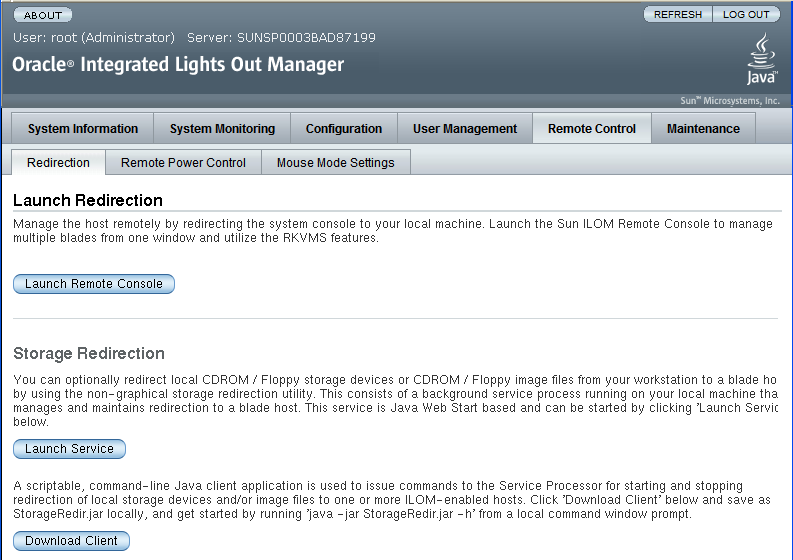 Refer to Communicating With Oracle ILOM and the System Console in Sun Server X2-8 (formerly Sun Fire X4800 M2) Installation Guide. 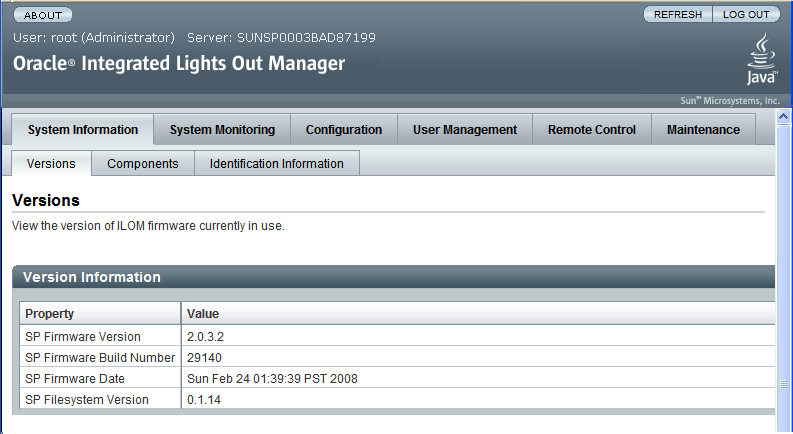 You must have also configured Oracle ILOM according to the instructions in the Oracle Integrated Lights Out Manager (ILOM) documentation for your server. Start the remote console application by typing the IP address of the Oracle ILOM service processor into a browser on the JavaRConsole system. 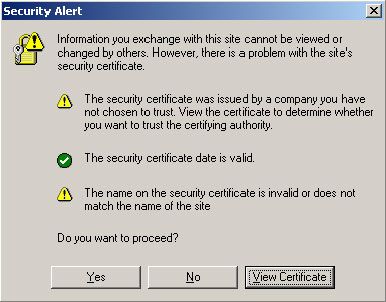 The Security Alert dialog box appears. The Oracle ILOM login screen appears. Enter the user name and password and click Log In. The default user name is root and default password is changeme. The Oracle ILOM Versions screen appears. 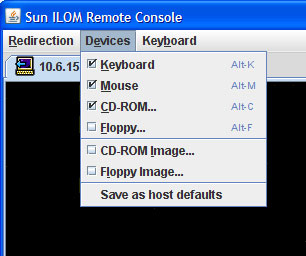 Click the Remote Control tab in the Oracle ILOM web interface. The Launch Redirection screen appears. Note - Make sure that the mouse mode is set to Absolute mode in the Mouse Mode Settings tab. Note - When using a Windows system for JavaRConsole System redirection, an additional warning appears after you click Launch Redirection. If the Hostname Mismatch dialog box is displayed, click the Yes button. A Remote Control dialog box might appear. If you are prompted to log in again using the Remote Control Login dialog box, enter your user name and password, and click OK. The default user name is root and password is changeme. 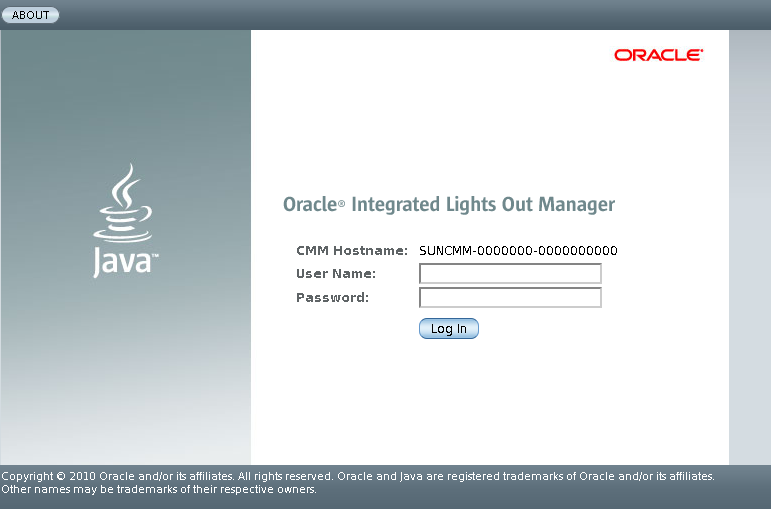 After the login is successful, the JavaRConsole screen appears. From the Devices menu, select a CD—ROM or CD-ROM Image device, depending on the delivery method you have chosen. CD-ROM Remote: Select CD-ROM to redirect the server to the operating system software CD/DVD contents from the CD/DVD-ROM drive attached to the JavaRConsole system. CD-ROM Image: Select CD-ROM Image to redirect the server to the operating system software .iso image file located on the JavaRConsole system. Caution - Using the CD-ROM Remote or CD-ROM Image options to install the Linux OS significantly increases the time necessary to perform the installation as the content of the CD-ROM is accessed over the network. The installation duration depends on the network connectivity and traffic.